ANGLER provides application development for Apple iPad, furnishing the power of iPhone SDK 3.2 beta & using iPad simulator to build iPad applications and to modify iPhone OS solutions. ANGLER with its quality iPad Programming Developers concentrates on delivering performance based iPad applications with data and memory management. ANGLER provides timely, efficient and affordable iPad OS Programming Services having gained experience through a variety of challenging iPad applications done for customers based in India, UK, USA, Canada, Singapore, Dubai, Hong Kong & Australia. At ANGLER with expert team of iPad Mobile Application Development, we are ready to serve businesses by providing iPad Application Development. Hire our iPad App Developers who are leveraging our in-house expertise and technology. With sophisticated iPad Application Development tools, we can create world-class applications and design optimized websites for iPad. ANGLER as a quality Offshore Development Center is providing talented, dedicated developers for developing native iPhone applications in Mac OS X. We have dedicated iPad Application Development team with extensive experience in Objective-C language with object-oriented programming capabilities in sophisticated Development Environment using Xcode and Interface Builder with full functional knowledge base to meet the customer expectations with our Offshore Development Center (ODC). ANGLER’s iPad mobile application developers are currently engaged in porting many of their existing iPhone apps to the iPad platform, since ANGLER’s integrated iPhone development team has been actively involved in the iPhone app revolution. Our team’s expertise and experience with the specialized development tools, methods and other kits help them to deliver the high-quality applications for all Mac products like iPad, iPhone and iPod touch devices. With our consultative approach and proven iPad development strategies, we can help you transform your iPad development idea to a reality. 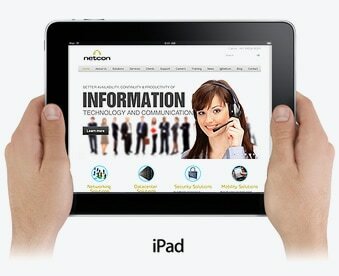 We are specialize in developing both business and consumer iPad apps. Contact us today to know more about our iPad application development services or to hire our iPad mobile app developers for your needs.